This newsletter reflects the views of its contributors, not necessarily those of the editors, any sponsoring body or advertiser.When contacting one of the advertisers please mention you saw their advert here first. Thank you. Advertisements in back issues may no longer be available. 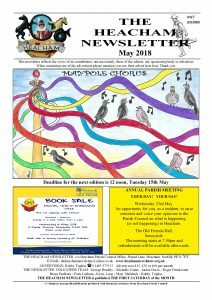 The Heacham Newsletter is published on THE FIRST SATURDAY of the MONTH. A voluntary non-profit publication produced with financial assistance from Heacham Parish Council. 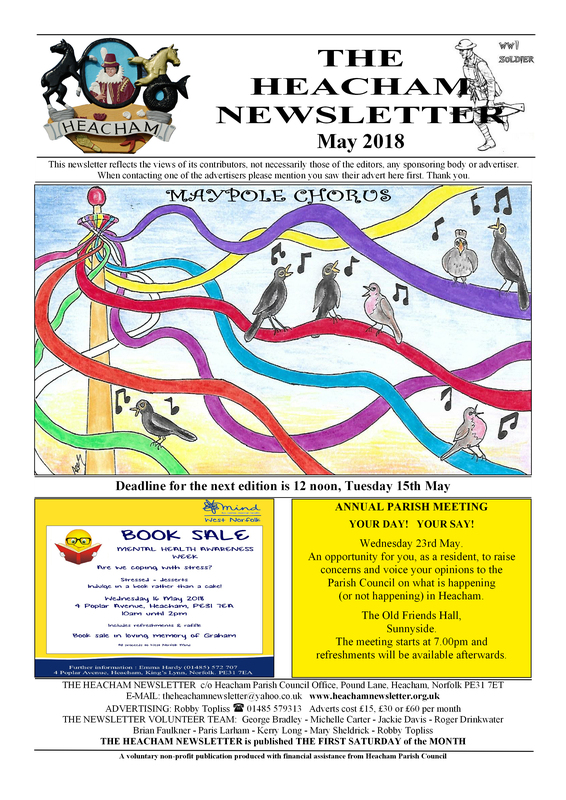 The contents of The Heacham Newsletter is the intellectual property of The Heacham Newsletter and its contributors and may not be copied, stored or distributed by any means without prior written permission from The Newsletter Team.